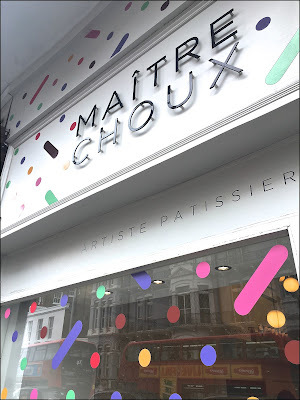 Two years ago the award-winning pastry chef Joakim Prat opened Maître Choux in South Kensington on Harrington Road. 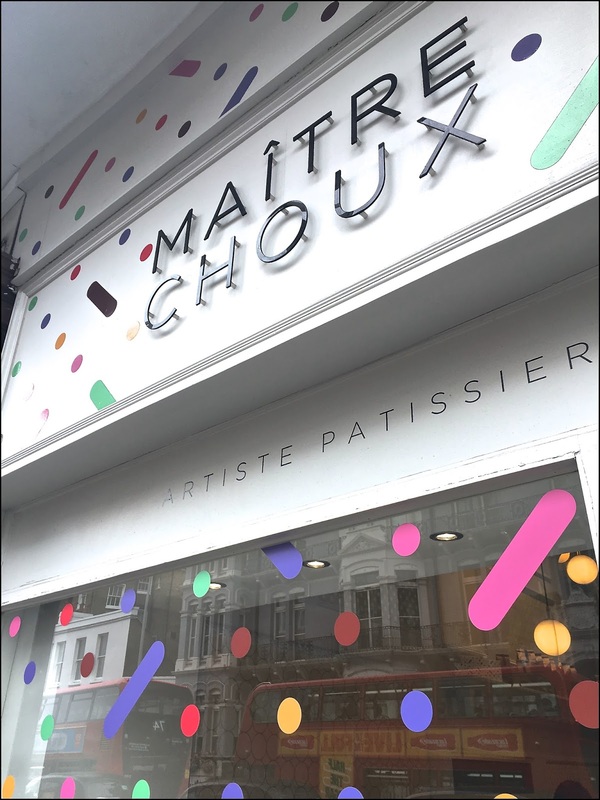 Maître Choux is a little bakery that exclusively sells éclairs, chouxs and chouquettes. Maître Choux respects the classic recipe of the éclair, an oblong pastry made with choux dough filled with cream and topped with icing. 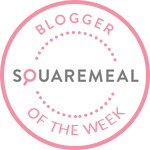 However, don’t expect to find classic flavours or irregular shapes here. 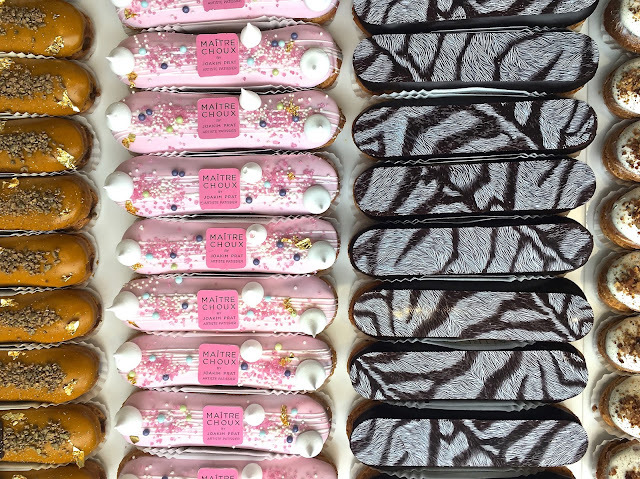 Maître Choux’s éclair concept is based on designing exact, bright and bold éclairs with original flavours such as raspberry and rose water, Tahitian vanilla and roasted pecans and lemon & bergamot just to name a few. 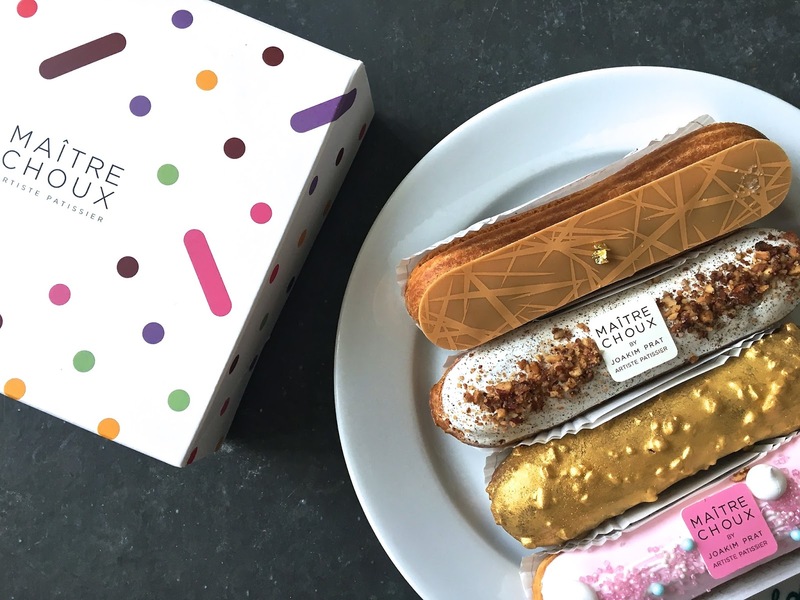 The éclair originated during the nineteenth century in France and was called "pain à la Duchesse’’ and ‘’petite duchesse”. 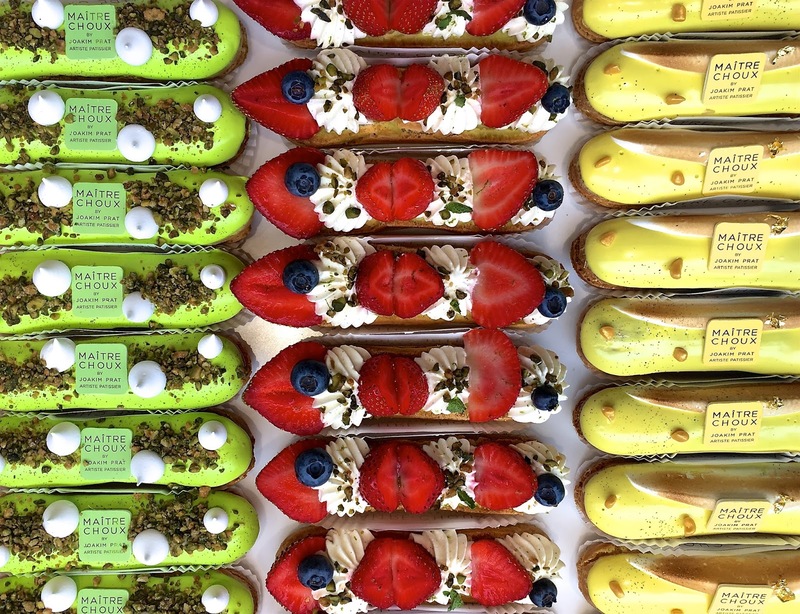 Joakim Prat refers to petite duchesse in the name of some of his éclairs. 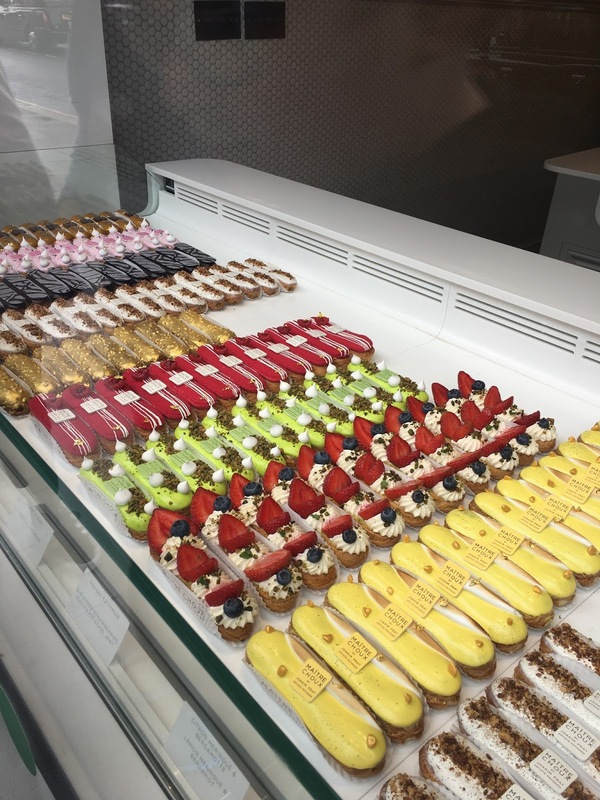 When I visited recently it was almost impossible to pick only one éclair as they all look stunning and all the flavours sound delicious. The decision was too hard, so instead of picking one my partner and I settled for a box of 4 éclairs to try different flavours. At around £5 for an éclair here are slightly more expensive than the éclair you can buy in France which are usually priced between 1.80€ and 4.90€, but they totally worth it! There are not just a pastry, but a beautiful little piece of art. Their éclairs can be kept in the fridge for 2 days but are better served at room temperature. We opted for the hazelnut & milk chocolate treasure, the salted butter with homemade caramel, the Spanish raspberry pink and the Tahitian vanilla & pecan. Each éclair was perfectly filled with the a very tasteful cream. My favourite éclair was the hazelnut & milk chocolate treasure, follow by the Tahitian vanilla & pecan, then the salted butter with homemade caramel. The Spanish raspberry pink was probably my favourite in terms of design, but last in terms of taste. However it was my boyfriend’s favourite. I have never been a big fan of sweets or cakes because I always find the crème patissiere sickeningly. But this time it was different, the crème patissiere was light and so easy to eat. Thanks to Maître Choux, I can say that I like crème patissiere…or at least their crème patissiere! 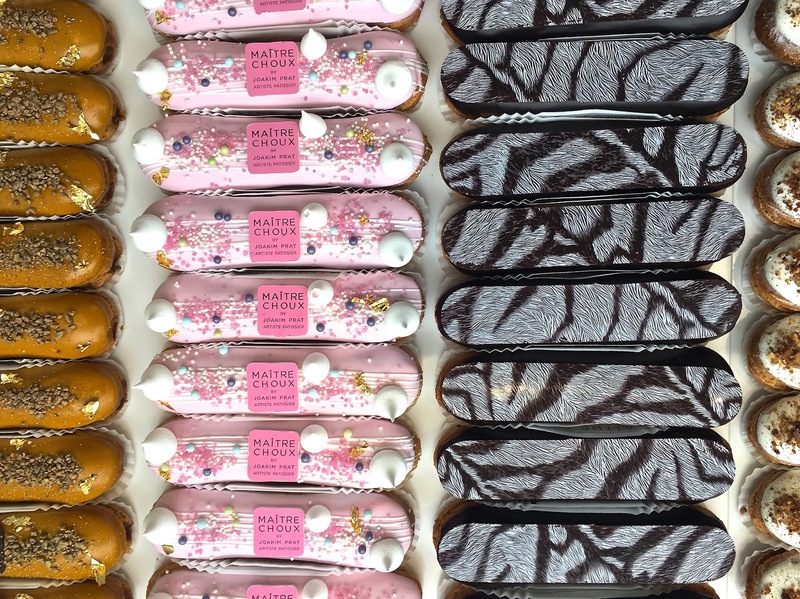 Maître Choux is opening this October on Dean Street in Soho, so be ready for another storm of éclairs on your social media channels. This second shop will offer tea, coffee, and thick hot chocolate made from a Basque recipe from Prat’s grandmother, alongside the hand-crafted designs éclairs, choux and chouquettes.